Michael A. Olivas, William B. Bates Distinguished Chair in Law, saw much success while pursuing his education, including receiving four academic degrees. It was during his years earning a doctorate that he decided to attend law school, striving to become a better scholar in the field of higher education governance. His wife, Dr. Augustina Reyes, a professor of Educational Leadership and Cultural Studies in the UH College of Education who has been with the University for nearly 11 years, also has thrived in the educational atmosphere, using legal policy and qualitative research methods in her extensive publications. Nowadays, Olivas, the once-aspiring literary scholar at the University of Houston, is lecturing to students chasing their own dreams. And he couldn't be happier challenging students to excel in and out of the classroom. "The University has allowed me to do my work with good colleagues and great students in a city with many resources that I need for my research," Olivas said. "The real reward is watching students grow in grace and wisdom. I have been very blessed in this regard." It is because of these successes that Olivas and Reyes want to give back to the University that has given them so much and make an investment in its future. They did so by including the UH Law Center in their wills, therefore becoming members of The 1927 Society and The Albertus Magnus Society. "People donate to organizations for a mix of reasons: gratitude for services that were bestowed, loyalty to the purpose of the enterprise, recognition for a cause, and a personal mix of these motivations. 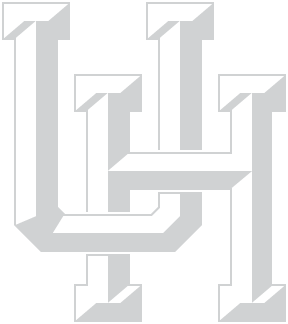 Over the years, (Tina and I) have made provisions for the University of Houston Law Center in our will so that future needs will be met, ones we cannot even envision now but that will undoubtedly arise," Olivas said. But giving back to UH goes beyond the University itself, says Reyes. "We love the city and we love the institutions that promote the city," she says. "We're particularly committed to institutions that invest in the education of the citizens of Houston." Reyes says she remembers growing up and seeing the initiatives of people with real visions for the city, mostly from the foundation and entrepreneur community. Specifically, she recalls the Houston Endowment, which was the first to give scholarships to graduating HISD students. "The endowment community...saw the need for education; they had that vision and they invested in that vision," Reyes says. "I think those kind of roots have always influenced me. This city provides good role models. They didn't let fears of an economy or a depression keep them from investing. They knew education was a way to move out of economic struggles, and that's where they put their money. Those are people with real commitment, making investments in what they believe in."